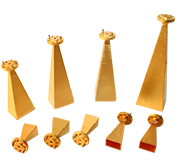 Vector Telecom manufactures a high quality line of standard gain horn antennas that are linearly polarized, lightweight and corrosion resistant. The most common Gain values available are 10, 15, 20, 25dB. 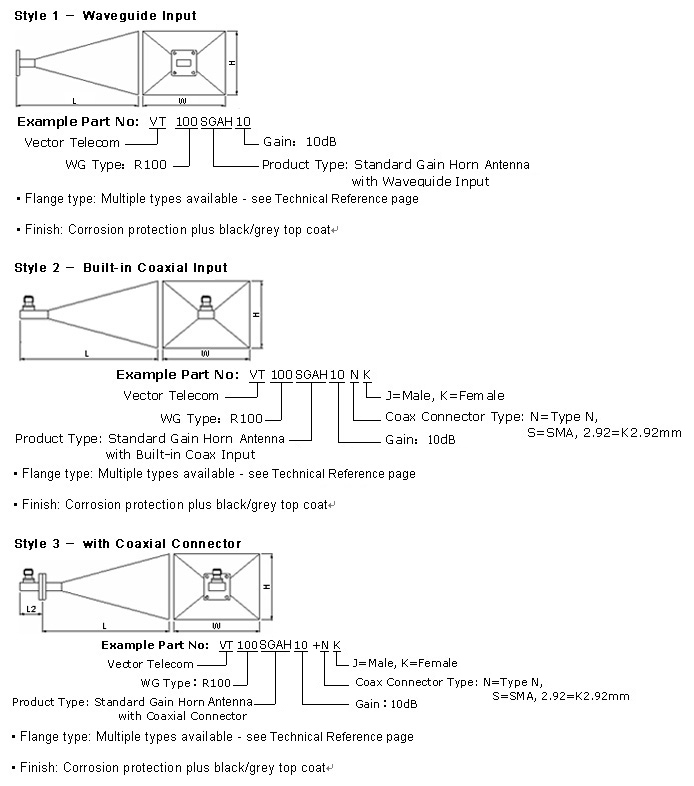 Other Gain values and Horn sizes can be designed to your requirement. Please call us with your specification and discuss your needs with one of our sales engineers. *** Gain and 3dB Beamwidth values have been calculated by computer simulation.